The last week or so of my video game time was devoted mostly to Godzilla on the PlayStation 4. The dozen or so hours I spent playing it were enjoyable despite the lackluster quality of the game. I thought it was feature-rich and a solid compendium of Godzilla related information but found it to be highly repetitious and devoid of much inspiration. Instead, my enjoyment stemmed from unlocking the game’s trophies. Some look at achievements and trophies with disinterest and even disdain, but for me they can be compelling motivators and a source of satisfaction akin to completing a checklist. While I’d like to think I’m past the point of playing a game solely because of these competitive barometers, this period consumed by Godzilla makes me wonder, am I? 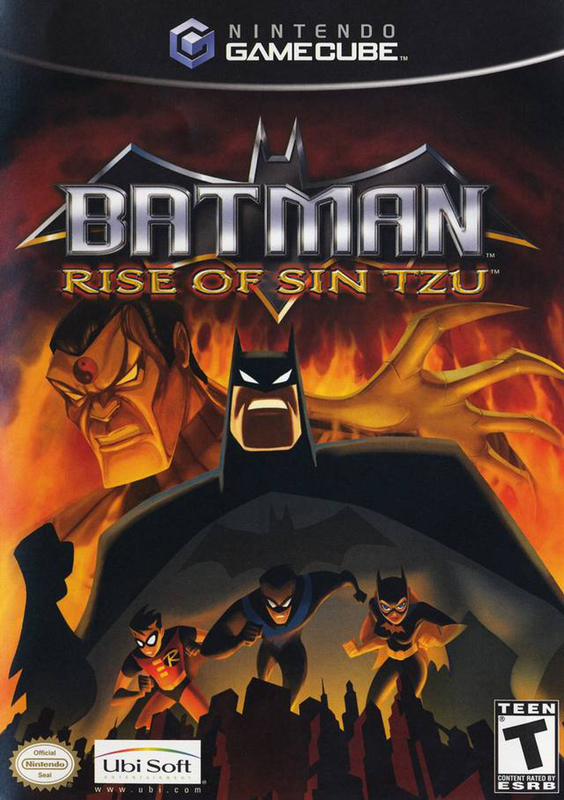 Batman: Rise of Sin Tzu was developed by Ubisoft Montreal. The studio is massive (over 2,600 employees!) and has remained incredibly prolific in the wake of the release of Tom Clancy’s Splinter Cell in 2002. This game was, naturally, published by Ubisoft. It original released on the PlayStation 2 and Xbox on October 16, 2003 in North America. The Game Boy Advance and GameCube versions subsequently launched on October 27, 2003 and November 11, 2003, respectively. The game also had special editions on the home consoles. The PS2 and Xbox versions came with an action figure while the GameCube release had a lithograph (read: small poster), which I have. The box art itself is epic! I could go into excruciating detail about the narrative and highlight all of the major plot points of Shenmue II, but I won’t. Actually, I can’t say that I won’t because I did and I’m just not publishing it. What I wrote was a two page article that read more like a set of game notes. I dove fairly deep into explaining the three major sections of the game and even then, I barely scratched the surface. 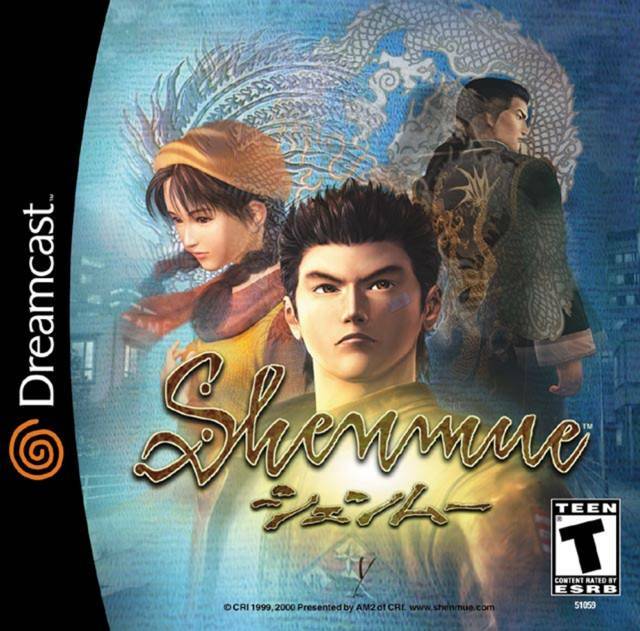 What you as someone who is unfamiliar with this game needs to know is that Shenmue II is narratively rich, yet ultimately unfulfilling. Narratively speaking, that is. It’s still a joy to play. In short, the game picks up directly where the original left off. Ryo Hazuki has travelled to Hong Kong to exact revenge on the mysterious Chinese man who murdered his father. Ryo investigates the Wan Chai and Kowloon areas of Hong Kong in a similar manner as he did in Yokosuka. He follows up on leads by asking residents, gets into street fights and other scuffles, and finds odd jobs to pay his bills. All this eventually culminates in a trip to a remote village where an event that has been foreshadowed since the beginning occurs. The beginning of this sequence had my friend and I sit straight up as we knew what would follow was very important. However, eleven years after its original American release, the cliffhanger ending is still unresolved and the current stopping point for this ill-fated trilogy. The various quarters of Wan Chai and Kowloon are each large and distinct. As I mentioned, the structure of the game is identical to its predecessor, although elements have been improved. The primary emphasis was still on investigation and completing odd tasks and I found their resolutions very rewarding. Brawls and QTEs were still a large part too, but they seemed less prevalent. I find it peculiar that the fighting system appears to have such depth and yet it was hardly utilized. This made it a little tough for my friend and me towards the end as the rising action and climax consists of dozens of easy and tough fights. Needless to say, we relied very heavily on simple punches and combos. And what a climax! These last few hours were simultaneously tumultuous to play and epic to witness. Kicked off by a stressful quest to raise money, my friend and I spent a solid hour gambling and resetting the game when things didn’t go our way. This was followed up by a convoluted trek through 18 floors of a massive 40 floor building. 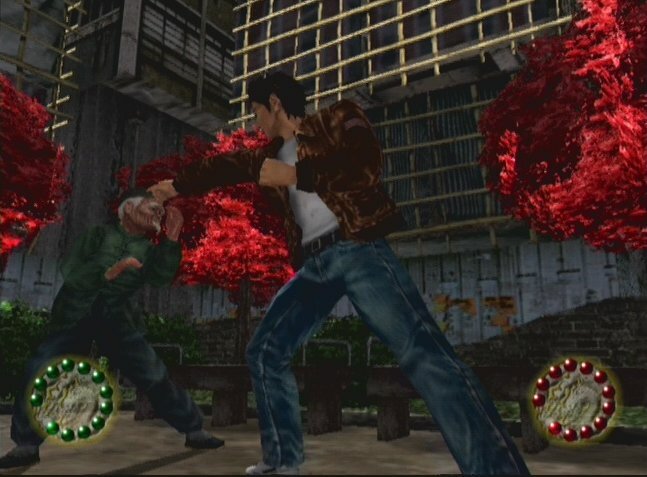 The dozens of fights Ryo had provided closure for the events that took place in Kowloon and they eventually led to a climactic scene where Ryo caught up with Lan Di. Although nothing transpired between the two, he now knows that Ryo is after him. Afterwards, the chance encounter that had my friend and I sit at attention was drawn out, torturous, and a great opportunity for two characters to become acquainted before finding out their destinies lie with each other. The cast of characters is ridiculous. So many interesting individuals. I’m doing it again. I’m trying to delve into the narrative and I just need to stop. There’s a reason this series has such a zealous fan base. 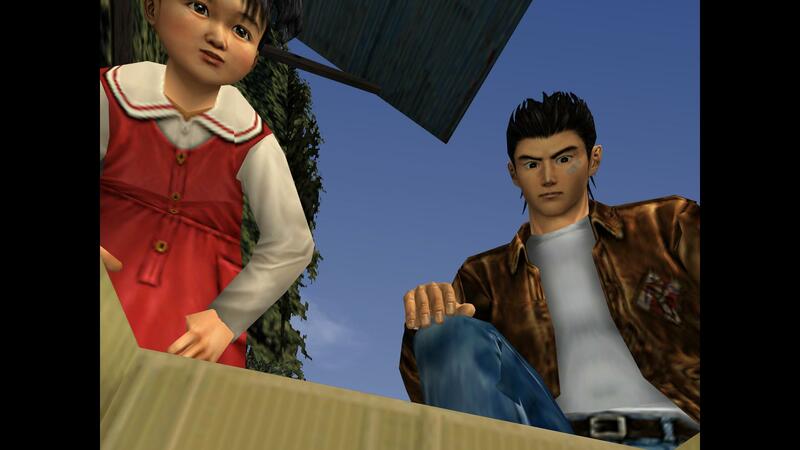 Shenmue and Shenmue II are fantastic examples of the narrative-driven single player video game. An epic coming of age tale coupled with exploration, investigation, and action. 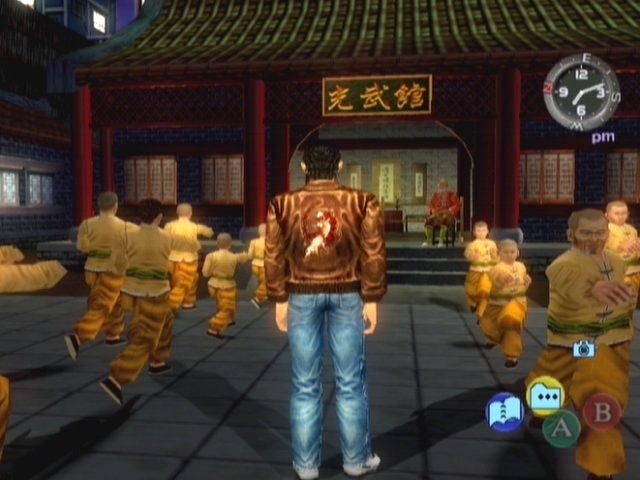 The blend of gameplay elements kept the game fresh and despite a few tumultuous sequences and the occasional camera or control issues, Shenmue II was an overwhelmingly positive experience. 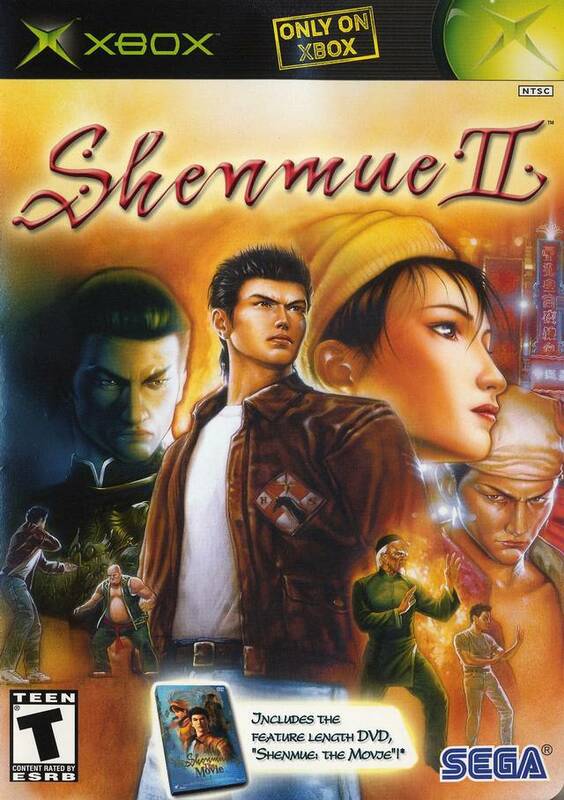 The passion of Yu Suzuki and his development team shines through in this game as it did in the original. Now, what about Shenmue III? A must-have title for the Dreamcast. Shenmue definitely has a reputation that precedes it. At the time and for many years afterwards, it was reportedly the most expensive video game ever produced. With respectable sales that weren’t near the expected numbers, it assisted in ending Sega’s home console development. Nonetheless, the game received high praise critically and is routinely cited as an influential video game. Shenmue has always been on a personal bucket list of mine and I’m finally able to check it off. 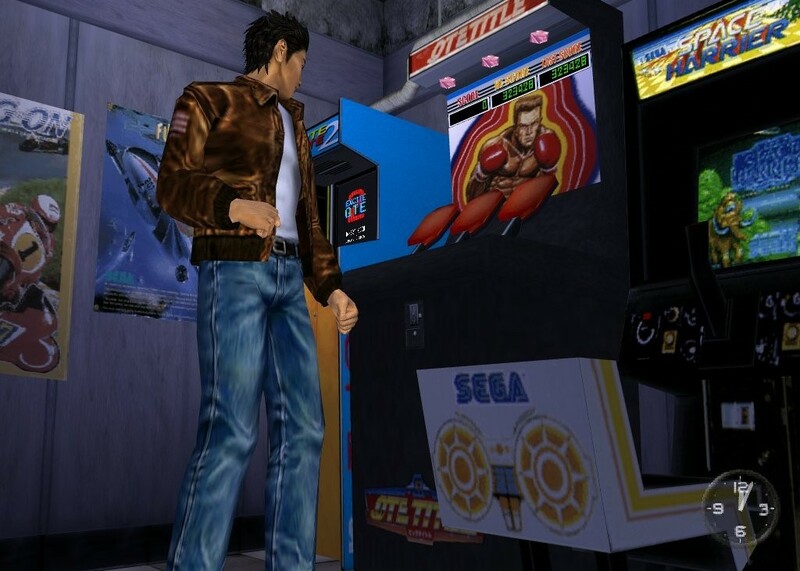 Before being consumed by Virtua Fighter, Yu Suzuki was a titan at Sega. He was the major figure behind a plethora of the company’s marquee arcade titles in late 1980s. Space Harrier, Hang-On, OutRun, After Burner – this guy had a knack for designing video games. I’m not intending to short shrift Virtua Fighter either. It’s one of the most respected fighting game series and has a dedicated fan base. Shenmue is Yu Suzuki’s magnum opus however, and it oozes his passion. In the manual, in the credits, in the way he describes the game – the fictional world and gameplay elements that comprise the game were undoubtedly personal muses for the man. Shenmue takes place in Yokosuka, Japan during the winter of 1986. The game is a tale of revenge, following Ryo Hazuki as he tracks down the mysterious man who murdered his father. Ryo’s father, Iwao, was a master martial artist whose dojo was in a remote suburb of Yokosuka. Iwao’s murderer, Lan Di, is a mysterious Chinese martial artist who had an unknown grudge against Ryo’s father. Not only that, but Lan Di’s ties to a Chinese criminal syndicate further complicate the affair as Ryo investigates the mysterious Chinese man. Watching Shenmue was an engrossing experience thanks to the dynamic camera angles. 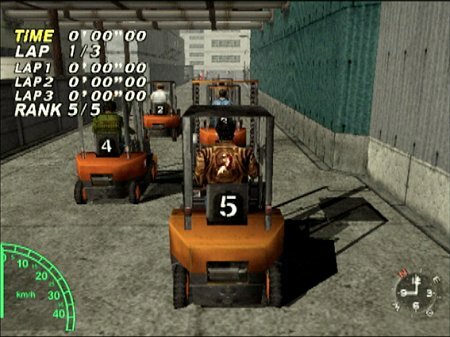 Exploration and puzzle solving are the primary focuses of Shenmue’s gameplay, although there is a minor emphasis placed on brawling. Knowing practically nothing of Lan Di, Ryo takes to the neighborhoods and shops of Yokosuka to find and follow up on any leads he can. Interacting with dozens of townsfolk, it was easy for me to get immersed in the day to day heartbeat of the city. Ryo’s leads introduced him to friends and foes from practically all of the storefronts, and since the game had a strong adherence to portraying a realistic setting, I’d have to make sure to check in with individuals at the corresponding hour of the day, or night. I was dead set on making a physical map of the shopping district and outlying neighborhoods, but by the time I sketched it out, I was familiar enough with the areas to abandon the prospect. The neighborhoods contained little to experience but the shopping district was densely packed with unique individuals and storefronts. To an outsider, such as myself, it was a joy to experience what this slice of Japan might’ve been like in the late 1980s – minus Ryo’s Sega Saturn. The arcade was a fun diversion and I’d be remiss to not mention the gashapon machines. The puzzle solving aspect of the gameplay revolved mostly around locating the proper individual to speak with. Then, utilizing the information they provided with Ryo. Be it an area to check or another individual to speak with. I didn’t find monotony in constantly seeking someone out, only to be pointed elsewhere. It didn’t seem like it was filler content. For the most part, every lead advanced the plot, if only slightly. One related point is what I interpret as shoddy localization. The game is fully voice-acted and everyone will respond to Ryo if he prompts them. However, a lot of the dialog doesn’t sound natural. It’s as if the script was translated directly from the Japanese original with no localization. Translating the game is one part of the localization process, but another would be making it so the characters speak realistically. Some lines of dialogue didn’t make functional sense to me. 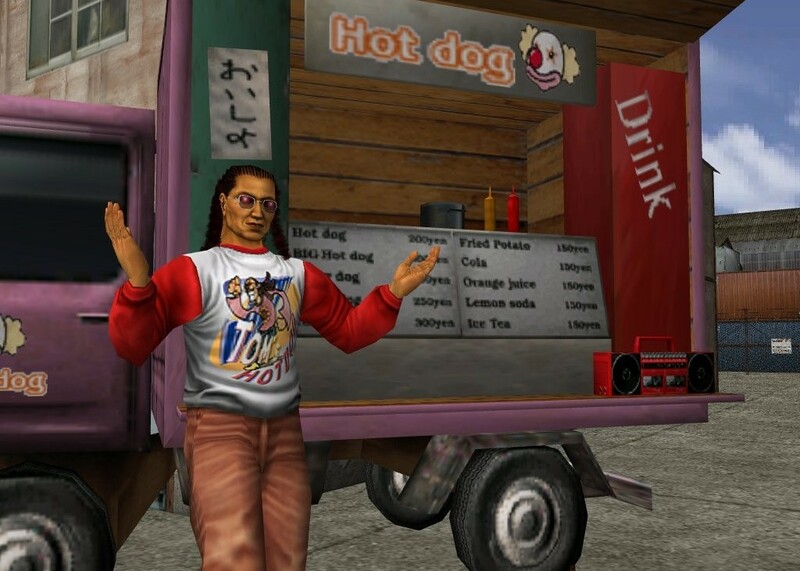 Then again, the game contained a friendly Jamaican hot dog vendor named Tom, and he doesn’t make a lot of sense either. Tom, the Jamaican hot dog vendor. The third pillar of the gameplay is the action sequences. I’d break these down into two categories: brawling and quick-timer events (QTEs). Both were infrequent, but an important aspect nonetheless. Brawling was reminiscent of the fighting system from Virtua Fighter – deep and very precise. Ryo had a wealth of moves at his disposal, but I was able to meander on by button mashing. This was helped by the fact that there were about twelve fights across the entire game. QTEs are now commonplace in video games and we have Shenmue to thank for that! They were pioneered in the game and allowed the player to experience a handful of exciting action sequences and actually feel some involvement. They were also infrequent. After a dozen or so hours, I had brought Ryo to the end of his quest in Yokosuka. Shenmue ended with a slew of events, beginning with Ryo getting a job at the Yokosuka docks. This entailed me operating a forklift for about a week of in-game time which translated to a few hours. It was a decidedly dull climax to the game, but it was far from over. At the docks Ryo got a better understanding of the criminal syndicate Lan Di was aligned with. Eventually, Ryo was too late to confront Lan Di who was already heading back to China. Ryo’s story was just beginning, but I wasn’t left unfulfilled. Shenmue capped off with an exciting motorcycle ride through the nighttime Yokosuka highway system. The goal was to reach the docks which lead to an epic brawl against 70+ gang members. Ryo intent on pursuing Lan Di to China and many of the interactions with Ryo’s friends and family were heartfelt. Forklift racing at the dock was a fun beginning to each workday. With Shenmue off my bucket list, I’m anxious to begin Shenmue II on the Xbox. The series was originally proposed as a trilogy so my journey with Ryo will end with an unfulfilled cliffhanger upon completion of the second game. Heck, I’ll probably convert into one of those crazies trying to get a grassroots effort started to develop Shenmue III. It wouldn’t be a surprise. The game came out nearly a decade-and-a-half ago and it still feels modern. Its combination of storytelling, setting, and gameplay meld together to form one of the most realized and worthwhile video games out there.